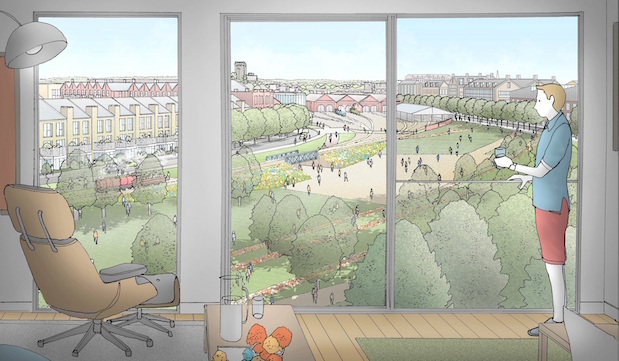 York Central Partnership has submitted plans for York Central – a vision to transform a large swathe of brownfield land in the city centre and create thousands of employment opportunities. The masterplan could turn an underused part of the city into new residential, cultural and business neighbourhoods, potentially boosting the size of York’s economy by more than 20% and creating around 6,500 jobs. Included in the outline planning application are 2,500 homes; office, retail and leisure space; community and hotel uses; car parking facilities; a new access road; pedestrian and cycling infrastructure; green areas; and an expansion of the National Railway Museum. The plans also outline a new western concourse and access to York Railway Station. 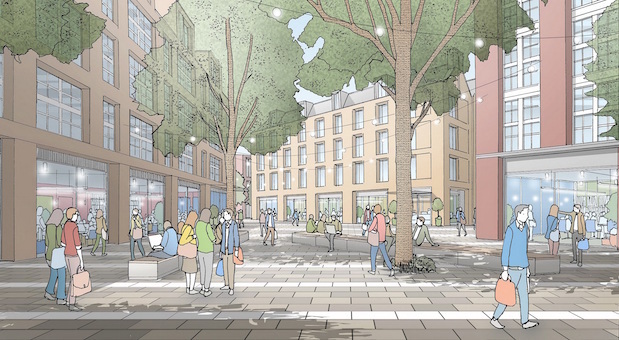 As part of the planning process, the application will undergo a 30-day statutory consultation, allowing anyone who wants to give their views on the project to do so. A ‘Design Guide’ for York Central was drawn up prior to the submission, following a consultation with members of the public, planning officers, Historic England and other organisations. York Central Partnership represents a collaboration between the Government’s Homes England arm, Network Rail, the City of York Council and the National Railway Museum. Tamsin Hart-Jones, the Partnership’s project lead, said: “This is a huge step forward in the delivery of York Central and in the future of York as we seek permission for the masterplan. She continued: “We would encourage as many people as possible to view the plans and make comments to the planning authority within the consultation period. A detailed planning application for the new western access at Water End and road network is due for submission next month. The York Central plans were developed by architecture and planning consultants Allies & Morrison and Arup, along with landscape architecture practice Gustafson Porter + Bowman. Property services firms Savills and Turner & Townsend supported the application. Subject to planning approval, York Central Partnership will look to start on site in 2019.